Our Mission is to promote spiritual growth. Building a community of faith and making disciples of Christ by reaching out with compassion, forgiveness and love. 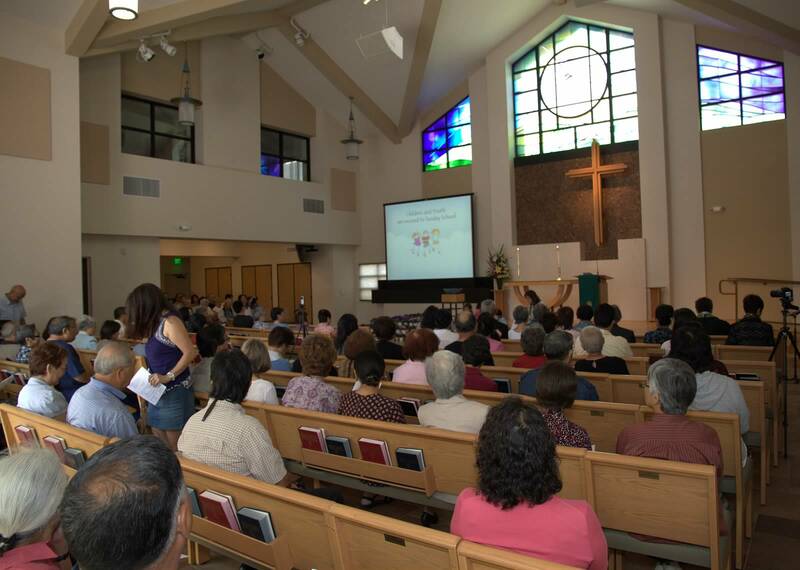 At West LA UMC, building a community of faith is what we are about.____________A Warm Welcome! West LA United Methodist Church welcomes everyone to experience God’s love and grace through worship, study groups, and programs. The church sanctuary, social hall, classrooms and office are wheelchair and walker accessible. (The church library is the only room that requires stairs for access.) The church staff and volunteers wish to invite, empower, encourage and support people with disabilities; provide reasonable accommodations, as requested; and increase awareness of the gifts for ministry of people with disabilities. Food allergies and/or special dietary needs may be listed on The Church Program Registration form for children and youth. Persons who would prefer gluten free communion elements are asked to notify the Church Office. Please contact the Church Office at 310-479-1379 with questions and concerns. We look forward to welcoming you at West LA United Methodist Church.